Doors at 7pm - Show 7:30pm . Mike Montoya and Dan Simonis get up close and personal as they serenade you under the stars. Mike will be playing a solo set and Dan will be accompanied my MarK Pierce on bass and Mike on drums. Join Us. $10 cover, bring your own beverage. Doors 7pm - Show 7:30pm. More info to come. Robyn Ludwick Live In Concert! 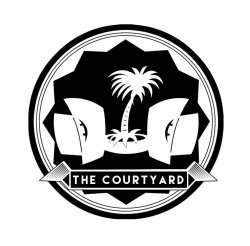 Catch Robyn under the stars in the Courtyard on her swing through the Southwest! Robyn is a critically acclaimed Texas Troubador Singer-Songwriter and member of Texas Music Royalty - The Robison family. Dan Simonis of The West Texas Millionaires opens the show. Tickets are limited to just 100 and WILL SELL OUT! Only Arizona appearance on their 2016 Summer Tour Doors Open at 6:30PM - Show starts at 7:00PM The Humble Kind on their summer 2016 tour with Fatigo promises to be a great evening of Music.